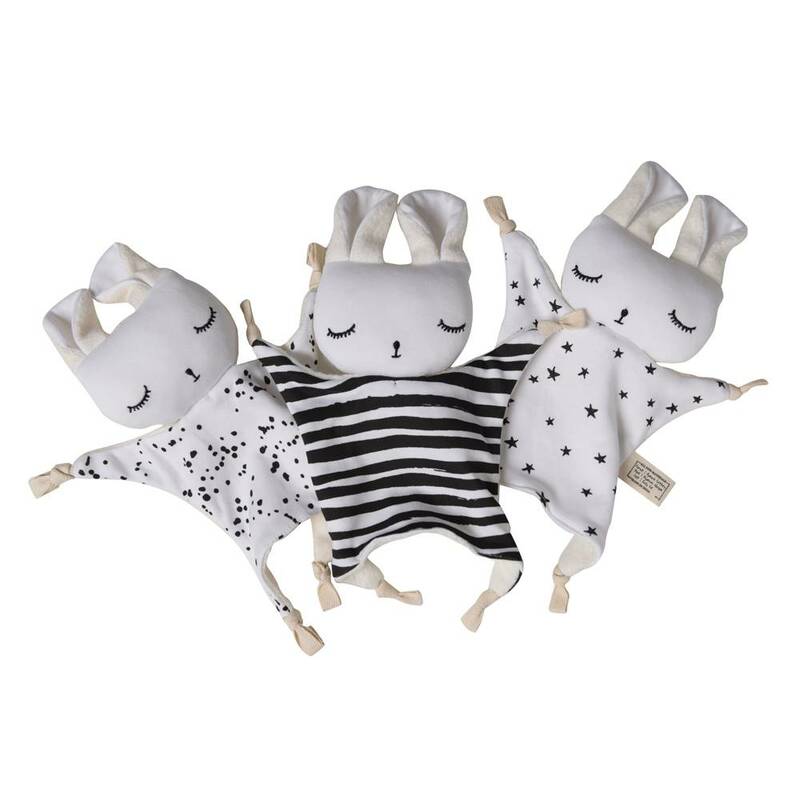 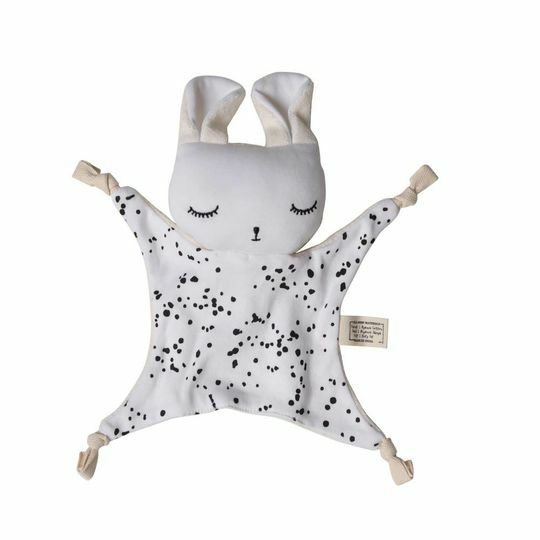 This sweet bunny from Wee Gallery is made for cuddling. 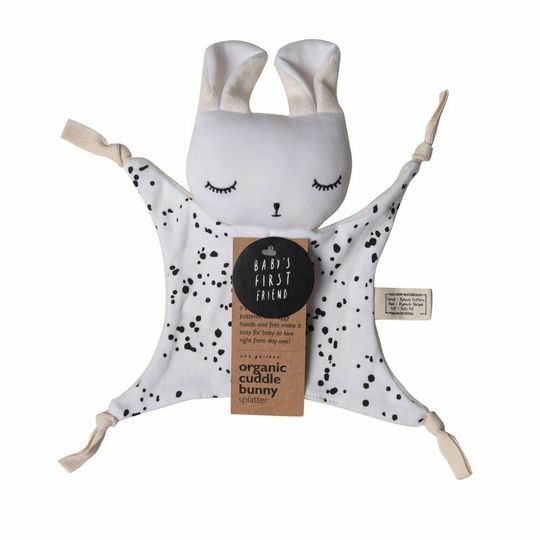 It's high contrast patterns, taggy hands and feet and various textures make it easy for baby to love and engage with from day 1! Made in india from 100% GOTS standard organic cotton, Wee gallery products are made with the planet in mind because your purchase matters.